As the availability of skilled construction labor continues to be constricted, builders have been looking at other options to reduce the need for this labor. Now manufactured, modular, kit, panelized, tiny homes and other construction types can help with the shortages in construction labor and the increased price tag of new homes for buyers. However, existing construction companies struggle with adjusting their process to include the ones that best fit their needs. While some options are relatively new, prefabricated and kit homes have been around for a long time. 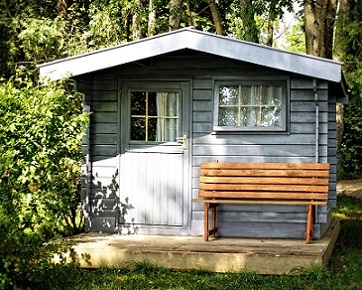 Kit homes have been sold and built since the 1800s, Assembly Required: A Brief History of 20th-Century Kit House Designs. 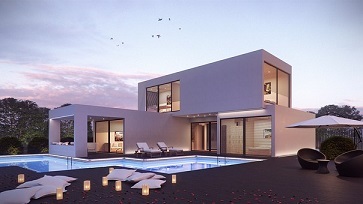 Prefabricated (prefab) homes are also known as manufactured or modular homes. The entire home or sections of the home are built in a factory and shipped by truck to the homesite for assembly by the onsite builder. While unit widths are restricted to sizes that will fit on area roadways and vary by locality, their architectural styles are not always restricted. Manufactured homes, those subject to HUD regulations, will take on the more standard single, double or triplewide styles, but modular homes can be as built with a sleek modern style, or a Victorian, cottage, Cape Cod or most other styles. Although modular prefabricated homes have been around for decades, they still remain a very small percentage of total new homes built each year, accounting for only 1.5% of all new homes built in 2017, according to the Census Bureau. While customers often choose modular home for the cost savings, there can be other benefits from this type of construction – time savings, greater consistency of quality and increased structural strength. The construction of the units is not hampered by weather delays and can be underway at the same time as the site work preparation, which saves time. Since the sections are shipped to the homesite, they are built to be stronger in order to tolerate the road trip. Although the final onsite construction and the shipping itself can impact the modular units ultimate strength, FEMA’s report after Hurricane Andrew noted that these types of homes held up better during that storm. Manufactured homes have been making a comeback since their low point in 2009 in terms of both the quantity built and the quality of features available. Through June 2018 more manufactured homes were built than were built for all of 2009, per the Census Bureau. More options that are typical of site-built homes are available, such as granite countertops, tile backsplashes, electric fireplaces, upgraded bathroom features and more. This has expanded the market to buyers who are looking for affordable options beyond traditional housing choices. However, this increased popularity has made these homes a little less affordable for some hurricane victims. e2Value is ready for these, and most any other changes or unique construction techniques, with current options in the estimator. If you need to complete a replacement cost estimate for a modular home, kit home, shipping container home or something unusual, just let us know and we can help, sales@e2value.com.